Book Sarah Harper as a keynote speaker. Sarah Harper is one of the world’s leading experts on global demographic trends - particularly population ageing - and their economic, political and social impact. 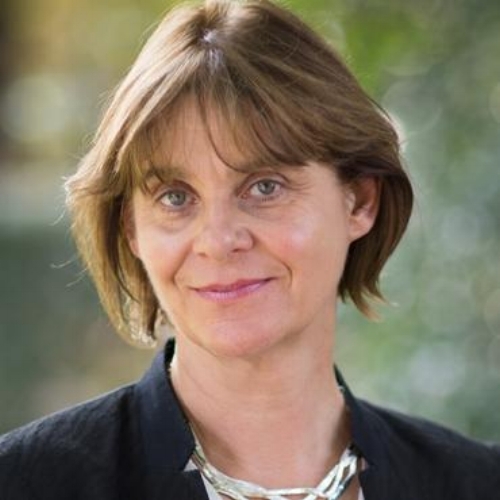 A Professor of Gerontology at Oxford University, Director of the Oxford Institute of Population Ageing and Senior Research Fellow at Nuffield College, Sarah’s research focuses in particular on demographic trends in Europe, Asia and Africa. For more information on demographics speaker Sarah Harper, contact VBQ Speakers founding agent Leo von Bülow-Quirk on leo@vbqspeakers.com or 0044 7833 727090. Sarah Harper is one of the world’s leading experts on global demographic trends - particularly population ageing - and their economic, political and social impact. A Professor of Gerontology at Oxford University, Director of the Oxford Institute of Population Ageing and Senior Research Fellow at Nuffield College, Sarah’s research focuses in particular on demographic trends in Europe, Asia and Africa. In her latest book, How Population Change Will Transform Our World (OUP, 2016), she argues that shifting population structures will be one of the biggest challenges we face in the 21st century. Sarah has advised firms and governments around the world on the impact of demographic trends. She sits on the UK Prime Minister’s Council for Science and Technology, advising the Prime Minister on the scientific evidence for strategic policies and frameworks. She also chairs the UK government Foresight Review on Ageing Populations, and serves on the Academy of Medical Sciences Health of the Population 2040 Review. Sarah has also served as an Advisor to the Malaysian Government, Advisor to the Singapore Government’s Third Age Council and as a Specialist Advisor for the European Commission Demographic Change Programme. She is also a prolific public intellectual, commenting regularly in the mainstream media, speaking at the World Economic Forums in China and Australia and delivering a range of TED talks and public lectures. From consumption patterns and resource-use to social organisation and cultural practices, demographic shifts will have an enormous impact on the 21st century. Any business that wants to build an effective medium-to-long term strategy needs to understand these changes, and what it means for them. Sarah explains these evolving trends brilliantly, drawing a clear line between her decades of research and the implications for her audience. She is a superb presenter - prior to her academic career she trained as a News and Current Affairs Reporter and Producer for the BBC, working in both TV and Radio for BBC News and Newsnight.